There are many ways in which a person's diet can be recorded and analyzed. Here we present an idea for using food purchase receipts as a method of food intake. By analyzing the food and drinks that are purchased, we can get an idea of the type, amount and range of foods that are consumed. Currently, there are several popular methods for recording a person's food intake - using a 24-hour food recall, completing a Food Frequency Questionnaire, and filling in a Food Diary. No one method is a perfect solution and each has its pros and cons. The other method presented here is no exception. The method discussed here, using the food purchase receipt to determine dietary intake, addresses several of the problems with the current methods (but had some issues of its own). 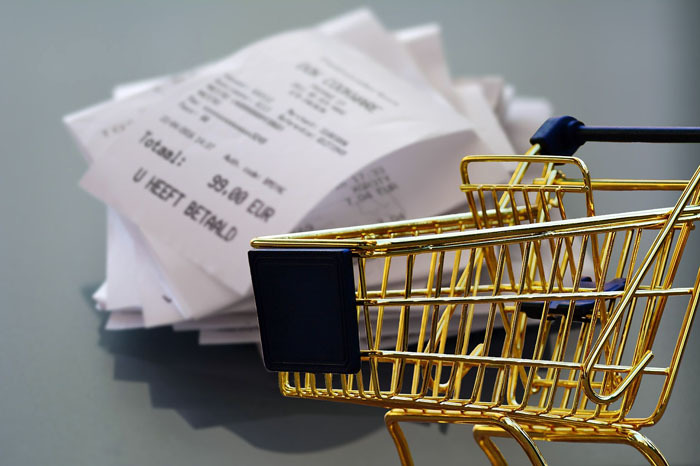 You can use information from shopper's dockets to determine what items are bought, their quantity and cost. The data from the dockets or receipts can be captured and processed through a combination of scanning and software to capture and analyze the details. This can be an effective way to capture the details of retail food purchases, as it does not rely on respondent recall. The processing will be able to capture all available transaction variables including; retailer, date, time, store location, product description, size, quantity, price, shopping trip size. not all places provide receipts (e.g. fresh food weekend markets). It assumes that the food bought is for one person only, usually the groceries are done for a couple or family. It does not account for food wastage - not all of the food that is bought is consumed. It requires that all receipts are kept and submitted. Eating well and exercising are important for everyone to maintain a healthy lifestyle. We also have a list of health tests used to monitor your health.